The Resident Tourist: Morning Macarons . . . I was six years old the first time I ever tried a macaron from Laduree. My mom had been away in Paris and returned home with a box of the most deliciously delicate sweets wrapped in a lovely celadon green box. I instantly fell in love. 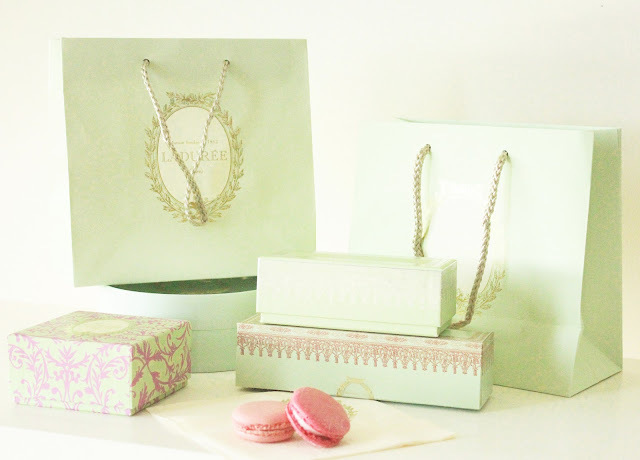 So you can imagine my glee when Laduree opened its first U.S. location in NYC. On Sunday Scott and I were walking up Madison and to our surprise there wasn't a single person in line at Laduree. We took it as a clear sign that we had to go in and buy a box. 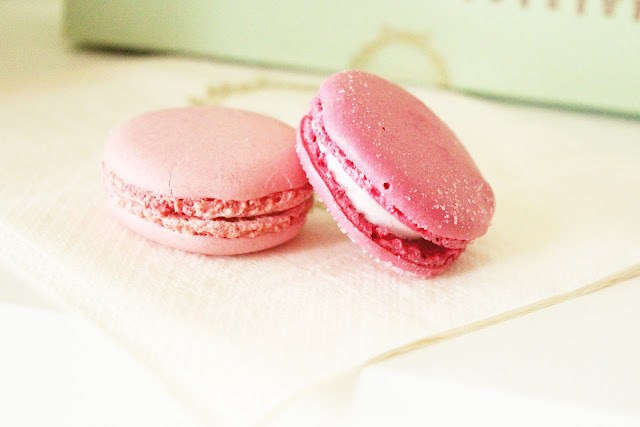 This morning we actually finished our last two macarons with a cup of coffee. Such a delight! Resident Tourist Tip: I always keep my Laduree bags and boxes, they're so pretty and perfect for storing jewelry, magazine clippings, mementos, etc.